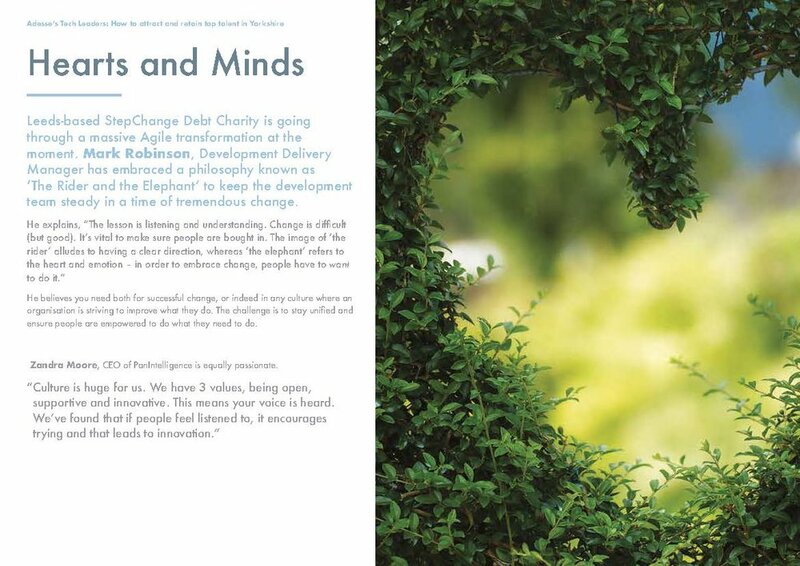 This is Mark Robinson of StepChange Debt Charity’s philosophy to win the hearts and minds of his team, during a challenging transformation. Download the full Tech Leaders report using the link below, to read Adesse’s original research into what Yorkshire companies are innovating to inspire loyalty. Newer Post“Flexible working on a case by case basis” – HR nightmare or genius investment in staff? Older PostAdesse's Tech Leaders: See anybody you know?